← Find me in all these sewing magazines this month! Suffolk Puffs (or yo-yo’s as they’re known in the US) come from the patchwork and quilting world where they’re traditionally joined together to make covers or used to decorate other items. 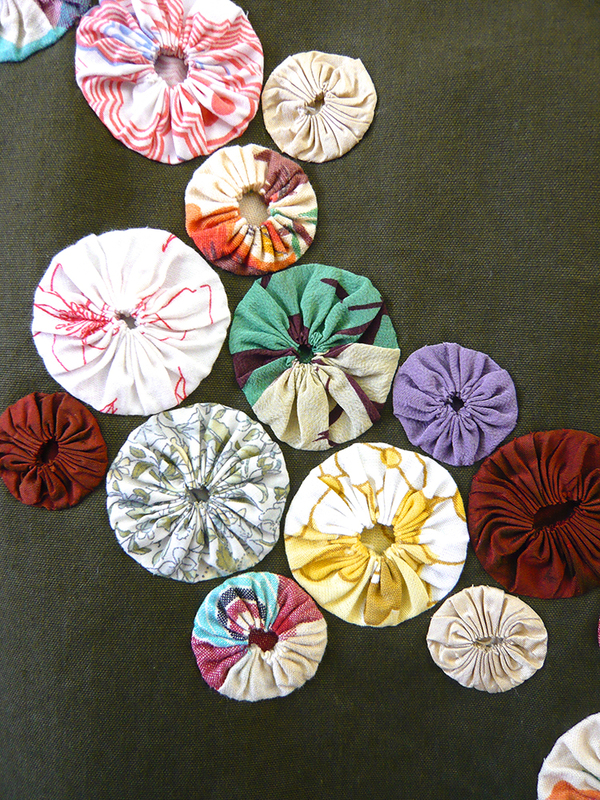 They’re little discs of gathered up fabric and look great when made in lots of different fabrics and sizes. I’ll warn you now……they’re quite addictive making once you get started and they’re not just for quilters! 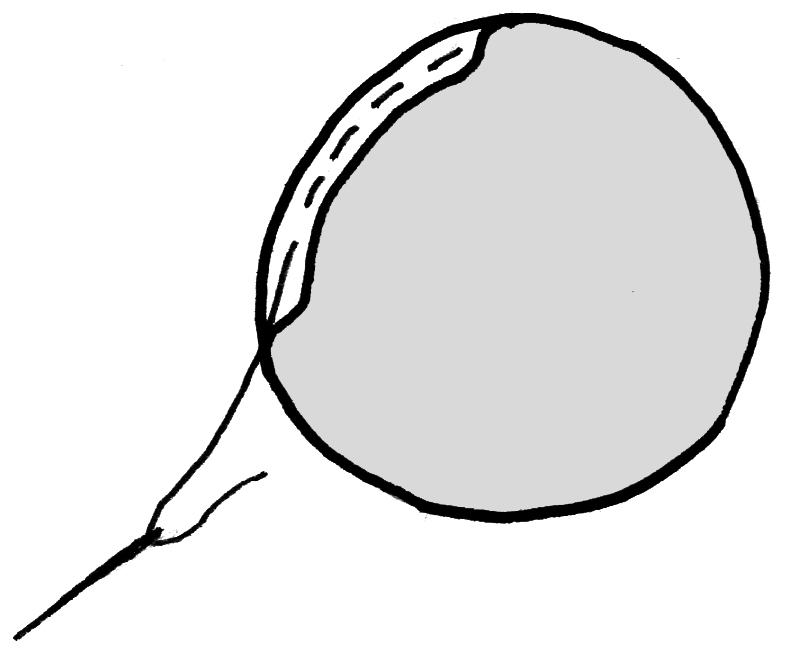 1 – Make your template – the finished puff will turn out half the size of your template. (You can get puff makers, but having used one, personally I don’t think they make as nice a puff because you can’t get your gathering stitches small enough). 2 – Choose your fabrics – lightweight cottons and silks work best – thicker fabrics won’t gather up so well and can become a bit bulky. 3 – Turn over a tiny (approx. 0.5cm) hem all around the edge of the circle of fabric towards the wrong side. Thread up a hand sewing needle with matching colour thread, make a knot at the end of the thread and sew a small (each stitch and gap approx. 0.5cm) running stitch with a single thread, not doubled (it’s more likely to get in a tangle if you use your thread doubled) all around the edge of the circle. 4 – When you get back to the start of your stitching draw up the running stitches to gather the fabric as tight as you can without snapping the thread! TIP – use synthetic thread not cotton – it’s stronger so won’t snap when you’re gathering your fabric. 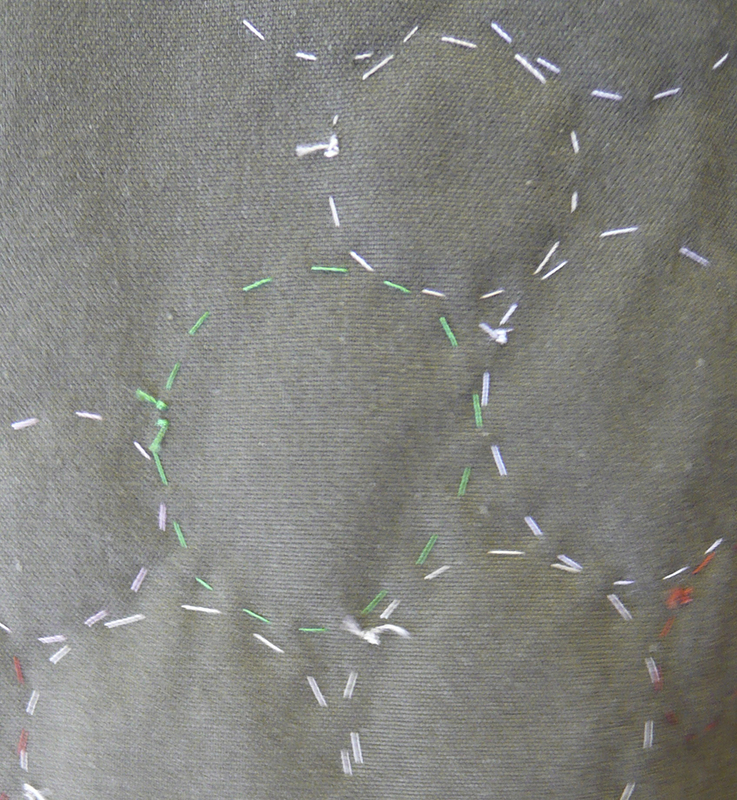 5 – Turn the puff through to the right side of the fabric before the gathering stitches close the hole. Close the hole as tightly as you can. 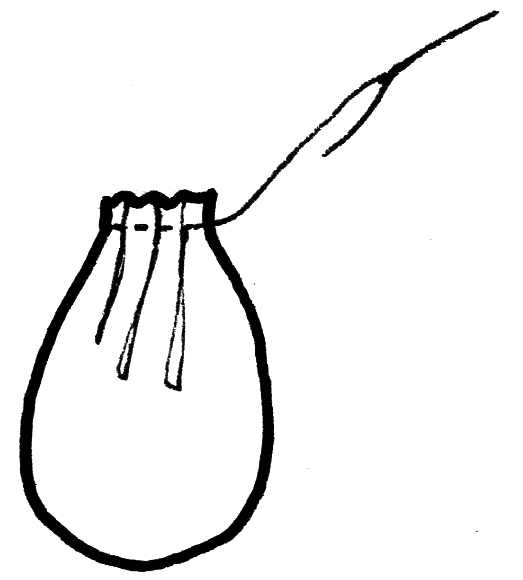 6 – The circle will turn into a little pouch! 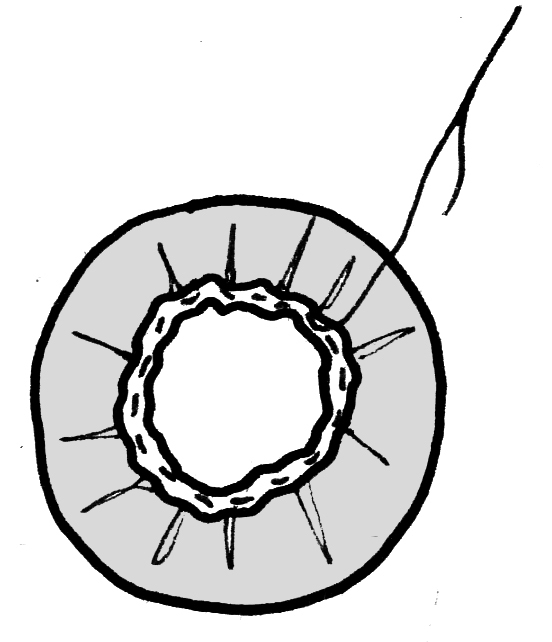 7 – Fasten off the end of your thread securely and flatten out the puff. I like to then give them a little iron to really flatten them and make them into little fabric discs. You can then slip stitch them invisibly onto your garment by running your needle along the folded edge of the puff (you’ll have what looks like a line of running stitch on the inside of the garment. 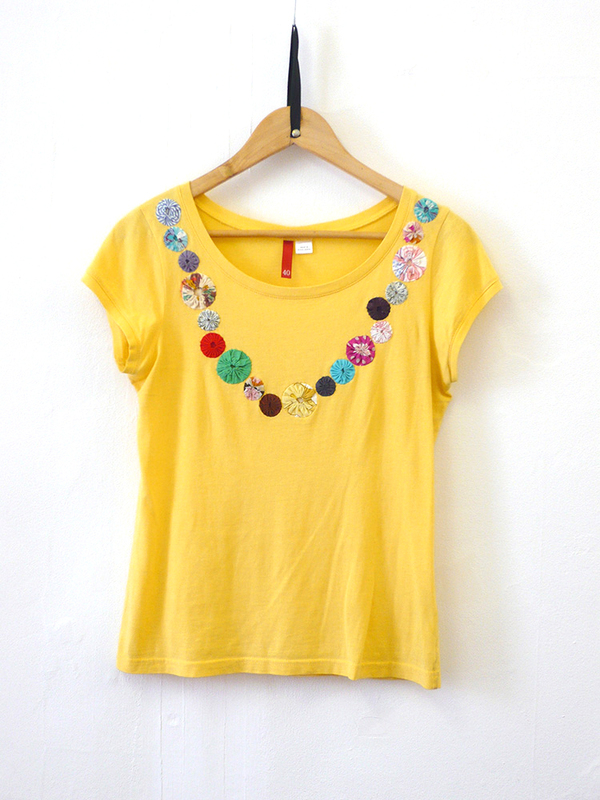 They look great creeping across the front of a plain skirt or around the neck of a t-shirt! Make colour / pattern coordinated ones or make a rainbow of them with your fabric scraps – perfect for those tiny bits of super precious fabric that you keep hoarding. Or, if you’re keen to get back on your sewing machine after all that hand sewing…. ….tack them onto some water soluble fabric and join them together with some freehand machine embroidery. Happy sewing and remember, I warned you they were addictive……I have a box full, most sewn while sat in front of the TV or on public transport! 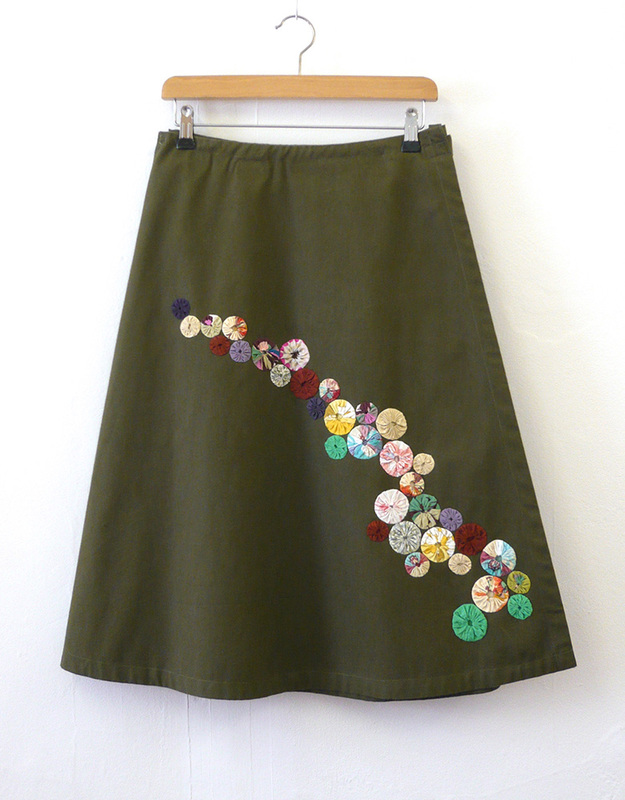 This entry was posted in Customising, Sewing Help and tagged Customising, easy sewing projects, fabric scraps, hand sewing project, how to customise a skirt, how to customise a t-shirt, how to make a suffolk puff, how to make a yo-yo, sewing tutorial, suffolk puffs, Wendy Ward, yo-yo's. Bookmark the permalink. Morning Wendy! I love the frugality of this! All those precious scraps turning into something beautiful together. 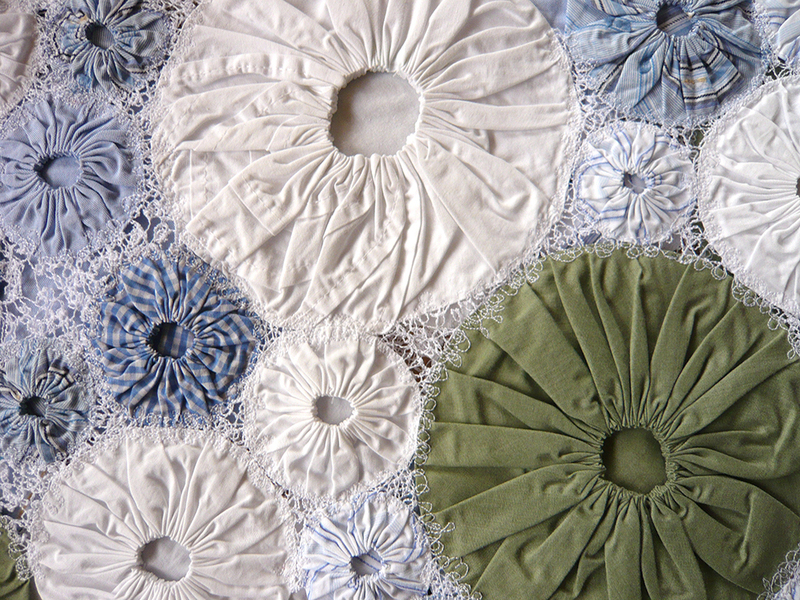 I’m going to try the Suffolk puffs joined by machine stitching on water soluble fabric – a new adventure for me! Thanks! I totally agree! 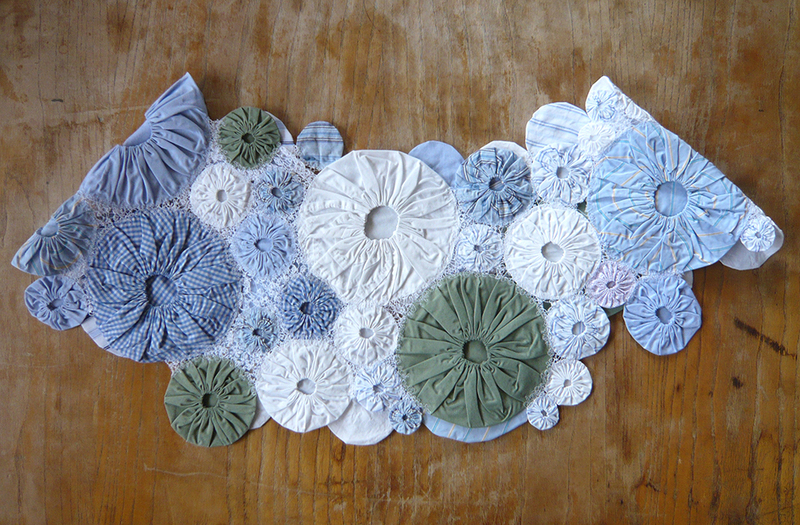 I’ve kept so many teeny scraps of luscious fabrics because they’re too beautiful to discard. That was an interesting read. I’m sure my mum made these back in the day! I’ll be giving this a try later. I love, love, love the way you’ve embellished the skirt and top with them. Something so simple and yet it’s completed transformed a plain garment into something really beautiful and unusual. Thanks!! Enjoy your puff filled Saturday 😊 look forward to seeing your progress. 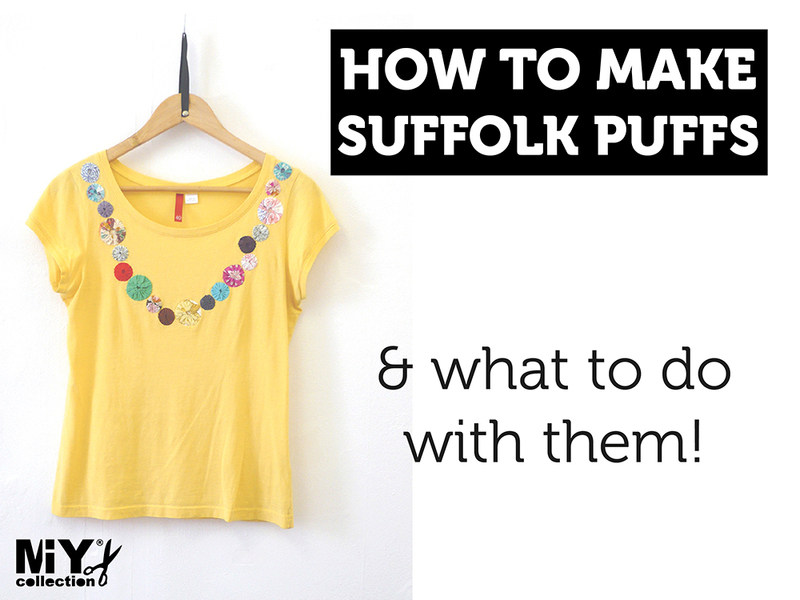 I love making suffolk puffs too – I agree they are so addictive to make!